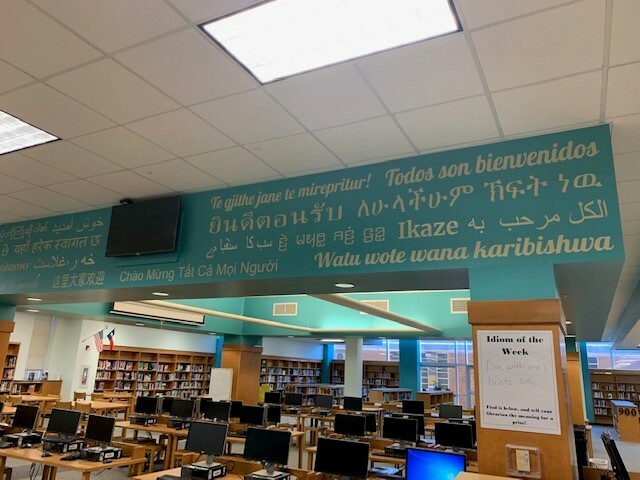 Lanier High School: Latest News - New Library Mural! 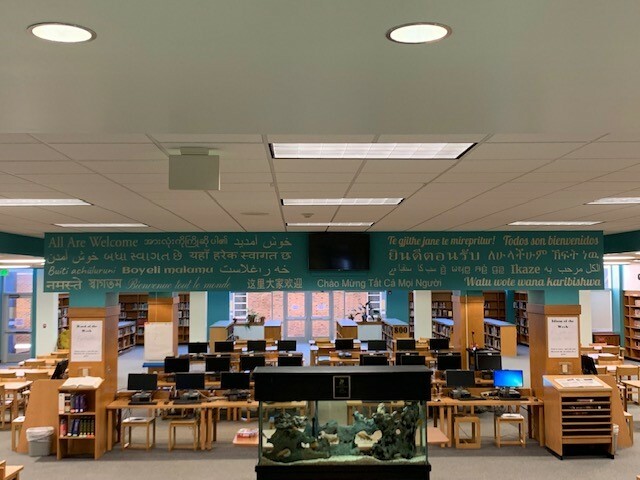 I couldn't be more excited to share with you our brand new mural. It was installed Friday after school and debuted at Maker Mania on Saturday morning. 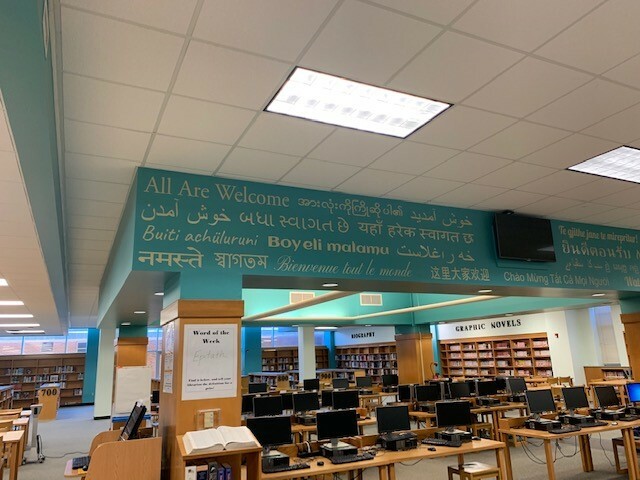 It says "All Are Welcome" in all 22 languages currently represented at our school (18 student languages and another 4 staff languages). Stephanie Leslie's husband Brian works for a sign-making company, so he was able to print the words for us on vinyl stickers and install it himself. I'm so grateful. Stop by to see it in person. How many languages can you name?